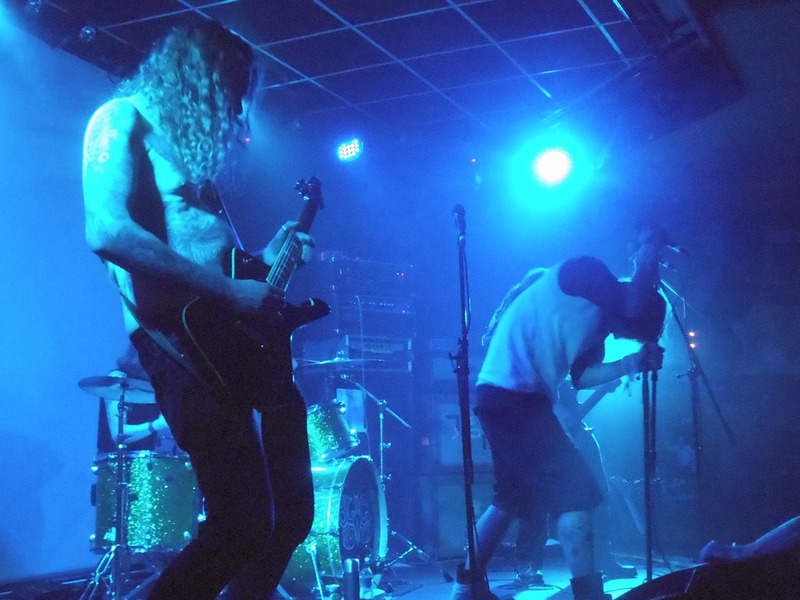 Grave Lines’ second album is… heavy. 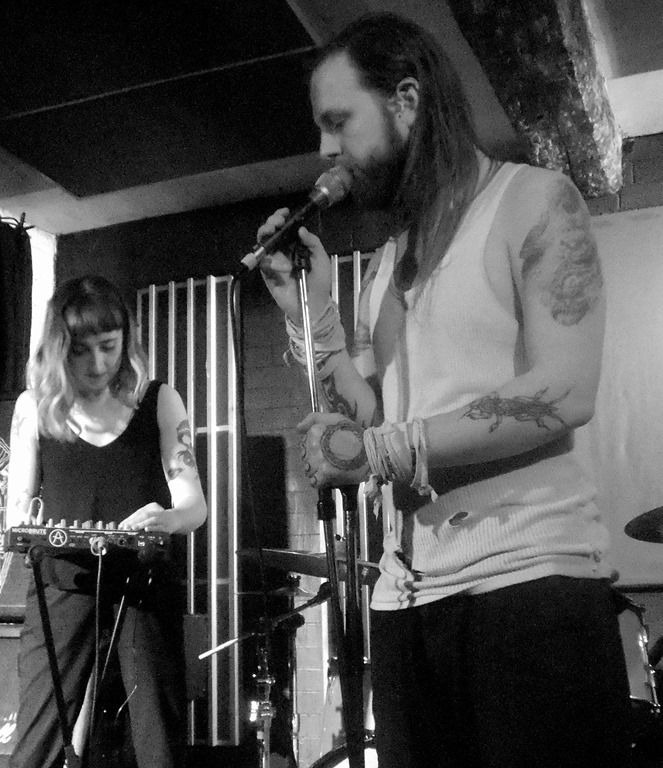 From a personal perspective, they impressed me no end when I caught them supporting Black Moth when their tour for Anatomical Venus landed in their hometown of Leeds. 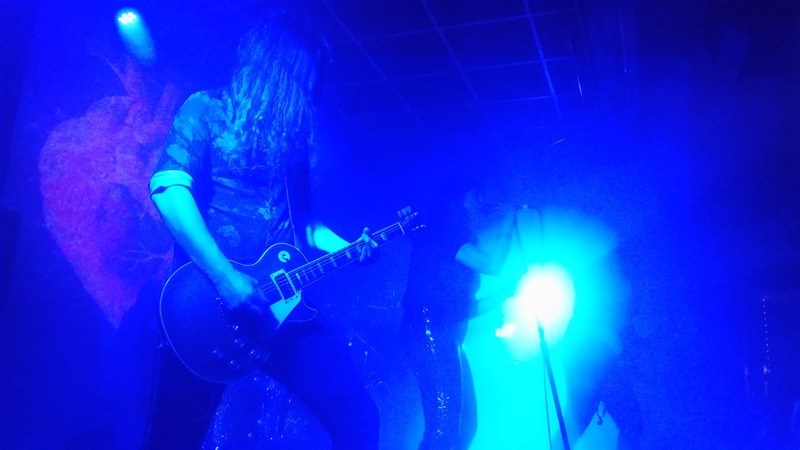 Mostly, because their set was brutal in its weight, the howling vocals sitting in the mid-range and low in the mix against a tempest of low-end guitar noise. 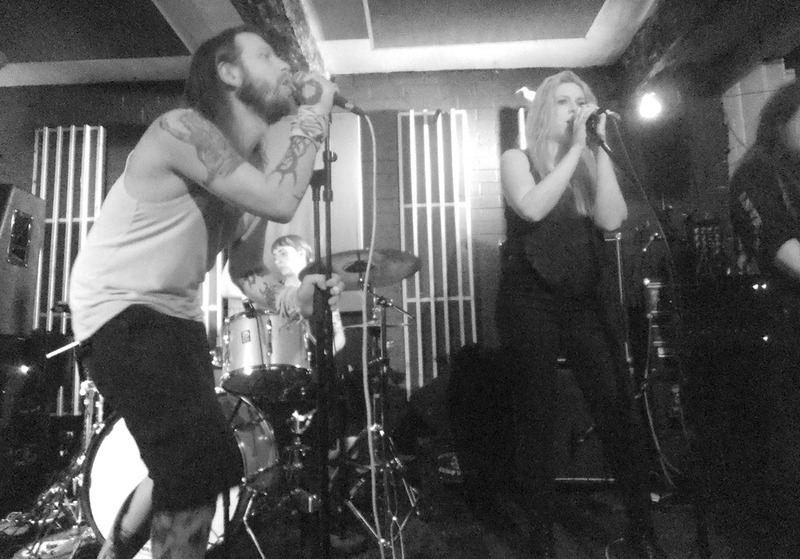 Fed Into the Nihlist Engine doesn’t disappoint, and captures the essence of the live sound. 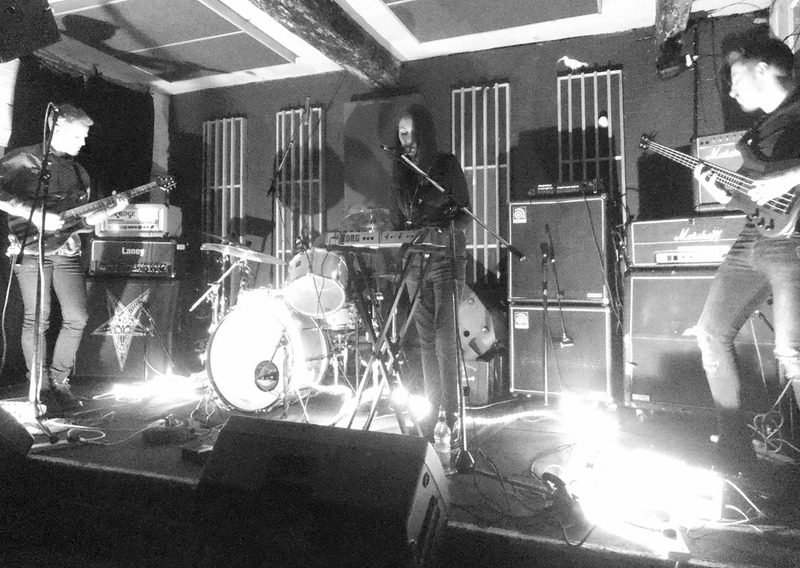 It also opens in the most daring fashion, with a fifteen-minute epic that blends ferocity and dirginess to form a perfect balance: at first coming on like Amenra in their haunting, atmospheric passages, before erupting into a full-blown assault of rage. Its crawling pace and sinewy lead guitar parts, paired with dense, chugging rhythm with major emphasis on the bottom end make for a punishing experience. 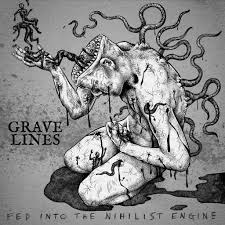 However, over the course of the album’s nine tracks, Grave Lines demonstrate a remarkable range and a deep-seated sense of atmosphere and texture. It’s heavy – seriously heavy, in fact – but it’s also light: ‘Shame Retreat’ is a delicate acoustic song, simple and completive, and elsewhere, there are some beautifully melodic passages. 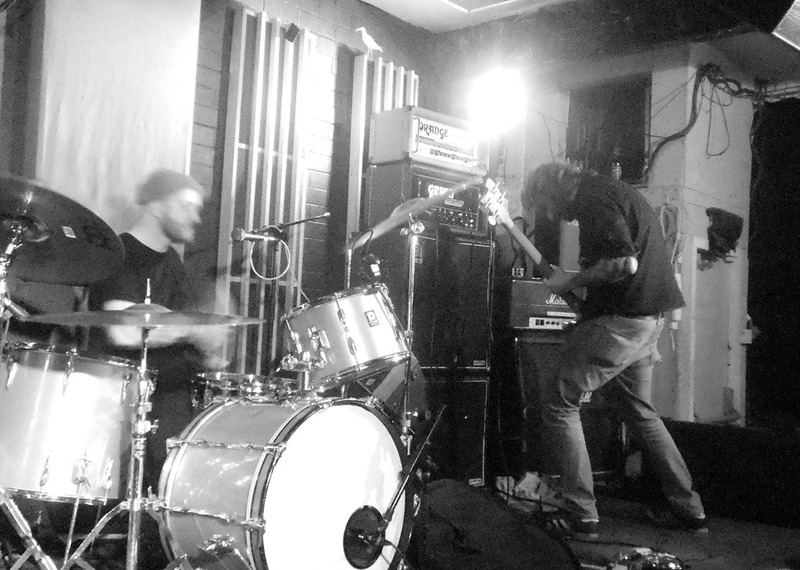 In fact, much of the weight of Fed Into the Nihilist Engine isn’t about crushing guitars, overdriven and overloaded and labouring amp-blowing riffs – not that there isn’t an abundance of these. No, Grave Lines explore the brooding a the shadowy, the quietly intense, the darkness of the gothic. ‘Self Mutilation by Fire and Stone’ sees Harding adopt an almost crooning goth baritone in places. 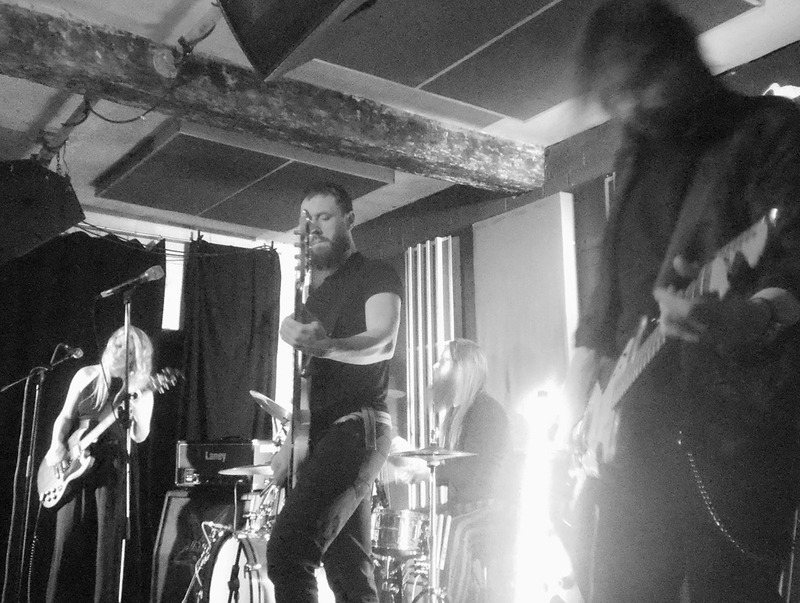 ‘Loss Betrayal’ – at least for the first minute or so – sounds more like early iLiKETRAiNS with its chiming post-rock guitar and reflective stance. And then it all piles in, while on ‘Silent Salt’, the guitars grind and churn relentlessly from the start. ‘Loathe Displace’ is similarly disarming, stripped back, a wheezing, undulating organ drone providing the instrumental backdrop to Jake Harding’s surprisingly sensitive and tuneful vocals. But when they do hit the overdrive pedals, they really go in hard and heavy. The one thing they don’t do is uptempo. These are slow, deliberate slabs of sound that bludgeon the senses. This is the sound of anger. This is punishment. There’s a lot of grind and churn going down on Fed Into the Nihilist Engine: ‘The Greae’ has that early Melvins vibe about it, only shoutier, and it grinds on well past the seven-minute mark. 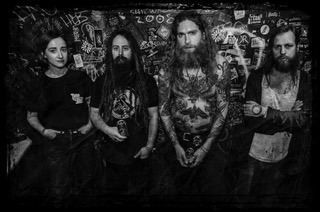 Fed Into the Nihilist Engine really works the contrasts and dynamics, but not in the way, say, Neurosis do – which I suppose is my way of saying not in a way that’s formulaic or predictable. Ultimately, Fed Into the Nihilist Engine is a dark album. And yet, it’s a dark album that’s haunting, moving and achingly beautiful in its articulation of despondency and disquiet.